By Sadiq Umar – The opposition Peoples Democratic Party (PDP), Saturday tackled President Muhammadu Buhari over his comment on illegal migrants to Europe, describing it as insensitive. The party said Mr. Buhari should address the underlining cause of illegal migration, adding that more Nigerians have been trapped in detention and slave camps in various parts of the world in the last two years of his administration. 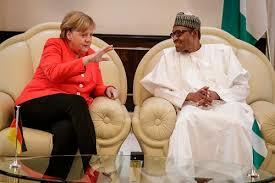 While playing host to German Chancellor Angela Merkel on Friday, Mr. Buhari said Nigerians who take the illegal route of going through the Sahara and the Mediterranean Sea do so at their own peril. “We have made it very clear that we do not support anything illegal and anybody who feels this country does not offer him what he should to be offered as a citizen and decide to defy the desert and the Mediterranean is doing it at his own risk,” the president had said. But while reacting to the president’s statement on Saturday, PDP’s spokesman, Kola Ologbondiyan, described the comment an “incendiary statement,” blaming the federal government of President Buhari for the increase spate of illegal migration in the country. “The Peoples Democratic Party (PDP) says President Muhammadu Buhari’s statement to German Chancellor, Angela Merkel, that Nigerians caught up in their attempt to illegally enter Europe, are on their own, further exposes him as an insensitive leader, who cares less about the plights of his compatriots,” Mr. Ologbondiyan said in a statement weekend. “Is it not disturbing to Mr President that reports by Nigerian Immigration Services showed that many more Nigerians have been trapped in detention and slave camps in various parts of the world,” the statement continued.